Altria Group, Inc.(MO), through its subsidiaries, manufactures and sells cigarettes, smokeless products, and wine in the United States. The company recently raised its quarterly dividend by 8.20% to 66 cents/share. Altria has delivered dependable dividend increases for 48 years in a row. Over the past decade, this dividend champion has managed to boost distributions at a rate of over 8%/year. This dividend growth stock has delivered dependable dividend growth, and exceptional total returns to shareholders for decades. 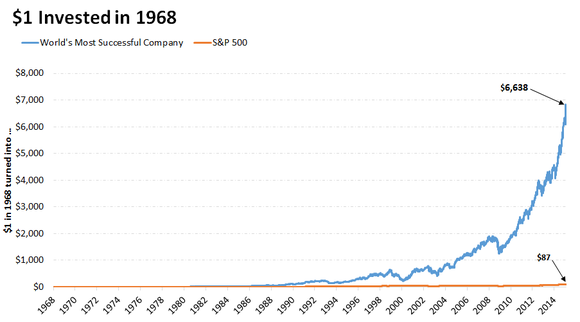 In fact, the company managed to become the best performing stock in the S&P 500 between 1957 and 2003. Since then, the company spun-off Kraft foods in 2007 and Phillip Morris International in 2008. Kraft foods was further split into two companies in 2013 – Mondelez and Kraft. The latter merged with Heinz to form Kraft Heinz (KHC). An investor who bought Altria in 2003, and held on to all spin-offs, while reinvesting dividends, still managed to do much better than the S&P 500. In fact, according to research I have seen, Altria has done much better than the S&P 500 since 1968. A dollar invested in Altria in 1968 would be worth $6,638 by 2014. A dollar invested in S&P 500 would have been worth only $87. 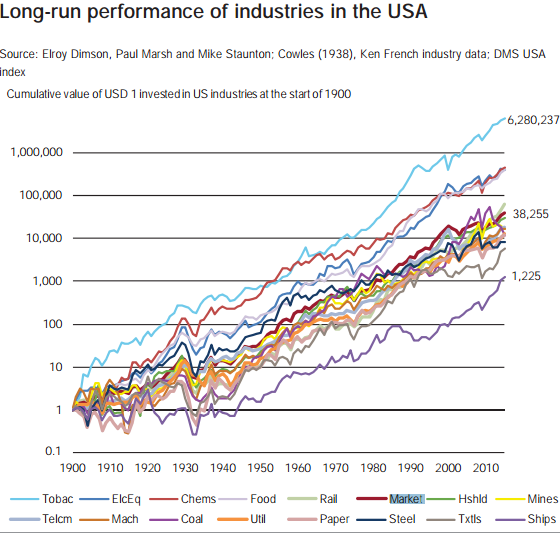 According to research from Credit Suisse, which publishes an annual paper on Global Investment Returns, the tobacco sector has delivered market beating results in the 20th century in the US. The reason why Altria has done so well is very simple. First, you have an industry where there things change slowly, and you have low product obsolescence. Second, you have a business with a strong competitive position, and strong pricing power. Having a product that is relatively recession proof is also a helpful thing to have. Third, this business only invests excess cash flows at projects that have high return on investment. In fact, Altria grows despite the fact that it has constantly distributed most of its earnings back to shareholders in the form of dividends and share buybacks. This is a characteristic of an amazing cash machine – you can grow the business even without investing a lot of money. Fourth, the business generates so much in extra cashflow, that it has little use for it at corporate headquarters. The high dividend, reinvested over time at depressed valuations, really turbocharges returns to shareholders. The valuations are a little rich today, at roughly 21.30 times last year's adjusted earnings. Using earnings estimates, the stock is still richly valued at a little over 19.80 times forward earnings. The stock yields 4.10%. I believe that despite the high dividend payout ratio at 80%, the dividend is safe because the company does not need to reinvest its earnings back to grow or even maintain its competitive position. Despite the fact that the company routinely sends most of its free cashflows to shreholders in the form of dividends and share buybacks, it still manages to grow earnings per share. This is the type of cash machine that dividend growth investors are instantly attracted to. If it weren't one of my largest positions already, I would be looking to add some on dips below $60/share. Historically, valuations on Altria have often been depressed due to a few factors. The first factor is the risk that an adverse regulatory action by the federal or state government would ban the sale and use of tobacco products. A prime example is the recent FDA news release where the agency plans to pursue lowering nicotine in cigarettes to non-addictive levels and create more predictability in tobacco regulation. This led to decreases in share prices for tobacco companies like Altria. Future regulation could be bad for business (though the stake in SAB Miller, which was converted to shares in Anheuser Busch still offers value and dividends to shareholders). While this is always a risk, I do not think that such a regulation will happen soon, because state and local governments need the tax revenues from tobacco companies. It is much easier to tax products like cigarettes, than hike income or property taxes. While the proportion of people in the US who smoke has been declining over time, it has plateaued in the recent decade. On the other hand, increases in pricing have more than compensated for the declines in number of smokers. Usually, risks of regulations create opportunities for dividend investors to scoop up shares at low prices. At some point, the regulators will probably kill the industry. But I am going to bet actual dollars in my portfolio that it won't happen soon. The second type of investor would not buy Altria, because they have some sort of moral objections. I think that investing is difficult as it is, which is why I do not understand why anyone would go to earn money in the stock market, but claim they have moral objections. When I analyzed the issue in a previous article, I realized that there really isn’t an industry or an investment that doesn’t raise a moral objection from someone. This artificial constraint has resulted in less demand from people for tobacco stocks, which historically have been relatively cheaper. 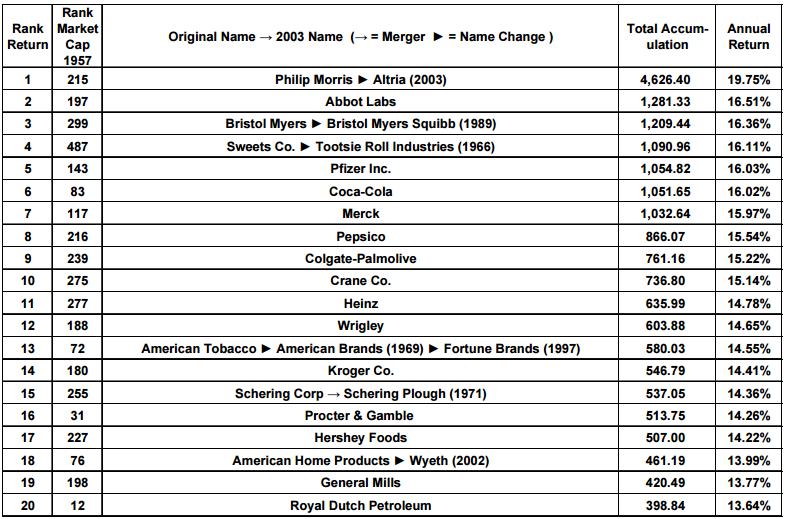 I have owned Altria (MO), Philip Morris International (PM), and the Kraft spin-offs since 2008. I have done pretty well with that position. When I think of the success of my investment there, it hit most points from the letter. I succeeded because I thought like a business owner who purchased a business as a long-term investor. Despite examples such the one presented above, I have found out that dividend growth investing is still the most misunderstood strategy out there. What gives me hope, is the fact that I have talked to hundreds of readers, who have owned the original Philip Morris stock, and now earn thousands of dollars in annual dividend income from Altria, Philip Morris International, Kraft Heinz and Mondelez (MDLZ). This truly is one of the best dividend growth stocks in the world, that delivered both Warren Buffett type total returns, but also high dividend income that grows much higher than the rate of inflation. The key factor has been to recognize the strong business, accumulate it in your stock account, and then let the power of compounding do its magic. The only people that didn’t make money with the original Philip Morris were those who got scared and sold, and those who were speculators and chased small price fluctuations. Patient long-term investors made out like bandits. - Why Stock Charts Are Misleading for Dividend Investors?